Creating and sustaining jobs to bring down South Africa’s high unemployment rate is the most important task facing the government, President Cyril Ramaphosa said on Thursday morning, while addressing the National Council of Provinces. "Getting our people working, and providing a favourable economic climate for jobs to be created and sustained, is the greatest task of the present," said Ramaphosa. The president said the state could only fulfil developmental mandate, and bring down unemployment, if the economy grows. According to Stats SA, South Africa’s official unemployment rate is 27.5%. World Bank figures show that South Africa’s youth unemployment rate is the highest among countries that submit data. 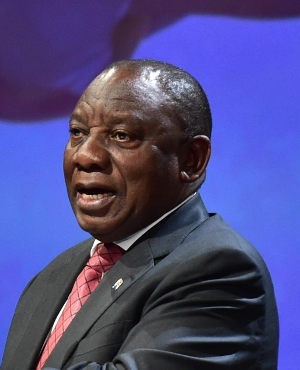 Ramaphosa said the October Jobs Summit – a meeting between business, labour and government to thrash out proposal to create jobs – had the potential to create around 275 000 jobs annually. "We are immensely encouraged by the commitment made by the financial sector of R100bn to support mainly black-owned businesses over the next five years." South Africa has slipped into a technical recession following two successive quarters of negative economic growth, which took the shine off predictions that Ramaphosa's elevation to the presidency would immediately result in an economic dividend for SA. Ramaphosa said that to create a better life for South Africans, the economy must be pulled out of its period stagnation. "When our economy is strong, when our people have jobs, when government has more resources, our ability to deliver good, quality services is vastly improved." "Our economy has faced a number of challenges over the past decade, resulting in slow growth and deepening unemployment. "This has constrained our ability to increase social spending, build and maintain infrastructure, and above all, to create a conducive environment for the creation of jobs for our people." During his State of the Nation Address in February, Ramaphosa announced number of initiatives to kick-start the economy, including an investment summit and a jobs summit. He told the NCOP on Thursday that these two summits – together with his economic stimulus and recovery plan announced in September and a separate African investment summit – showed the state was serious about turning the economy around. He said the "overwhelming consensus" at the two summits was that despite recent challenges, SA was a "favourable destination for investment".